You have a special someone in your life and you want to express it. Just what are the benefits and consequences from kissing as far as oral and systemic health are concerned? Medical and dental researchers know these benefits may be more important, health-wise, than you might think. Saliva washes out the mouth and helps remove the cavitycausing food particles that accumulate after meals. In addition to the digestive role saliva plays, this cleansing process is very important to oral health. The problem lies in the fact that kissing may also transmit a small number of disease-causing bacteria and viruses through the oral cavity. Bacteria and viruses in the saliva or blood of one person can be spread to another person by kissing. Some diseases are more easily spread through kissing than others. How healthy your mouth is plays an important role in just how significant this problem may be. Upper respiratory tract infections like colds are easily spread through a kiss. Many different viruses are responsible for causing the common cold. Colds are believed to be spread by direct contact with the virus. You could catch the respiratory infection from airborne droplets or from direct contact with secretions (fluids and mucous) from the infected person's nose and throat. In addition, glandular fever, also known as the kissing disease, is the common term for a viral infection called infectious mononucleosis. It is caused by the Epstein-Barr virus. The virus is spread through saliva and infection occurs when it comes in contact with saliva. Yes, your probability of contracting one of these viruses is dependent on the health of your immune system. So take care of yourself! Varicella zoster virus (VZV) is one of eight herpes viruses known to infect humans and other vertebrates. It commonly causes chickenpox in children and adults, and herpes zoster (shingles) in adults and rarely in children. Other publications have shown significant correlation of several herpes viruses with oral cancer. Herpes infection viruses that are considered part of the herpes family include Epstein-Barr, varicella-zoster (causes chickenpox) and herpes simplex (causes cold sores). Herpes simplex virus can be spread through direct contact with the virus when kissing. Herpes is most easily spread to others when the blisters are forming or have erupted. The virus can be "shed" (spread to others) from the site of blisters even when they have healed. Chickenpox easily spreads from person to person by direct contact, droplets or airborne spread. The hepatitis B virus may also be transmitted via kissing under certain conditions, although blood has higher levels of this virus than saliva. Infection can occur when infected blood from bleeding gums comes into direct contact with someone else's bloodstream via mucous membranes (mouth, tongue, gums.) People are more likely to be infected when kissing if they have open sores in or around the mouth. Additionally, be aware that warts in the mouth (human papillomavirus virus) can be spread through kissing, especially if there are areas of recent trauma. Meningococcal disease is a potentially life-threatening condition which includes meningitis, inflammation of the membranes (meninges) that surround the brain and spinal cord and septicemia. These bacteria can be spread either through direct contact or via droplets. Studies show that, with respect to kissing, only "deep kissing" seems to be a risk factor. Periodontal disease (gum infection) can be transmitted through saliva. That's why the American Academy of Periodontology recommends that if one family member has periodontal disease, all of the family members should be screened as well. The bacteria that cause tooth decay aren't found in the mouths of newborn babies! A baby's mouth can be infected with another person's saliva, which can be passed by a kiss on the lips from someone affected with active tooth decay. 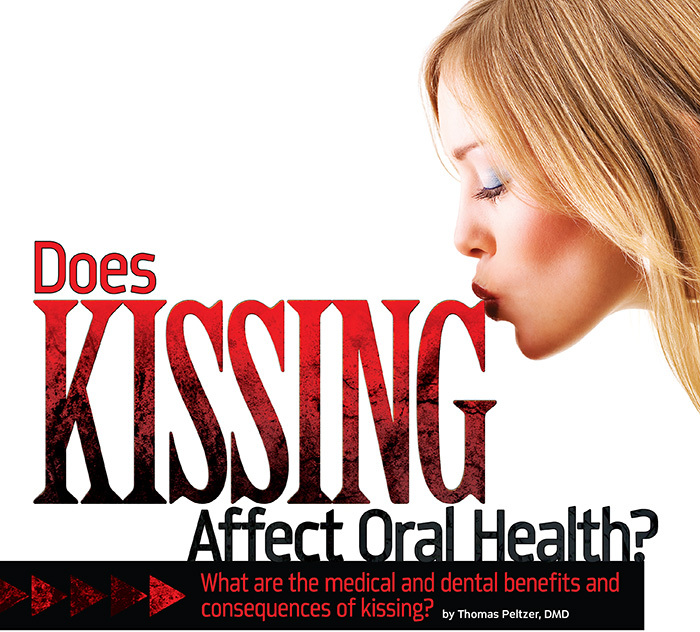 Passionate Kisses are Good for Your Oral Health! Rest assured it's not all doom and gloom. Research into passionate kissing has uncovered many valuable health benefits. In a healthy mouth, saliva contains substances that fight bacteria, viruses and fungi. Deep kissing increases the flow of saliva, which helps to keep the mouth, teeth and gums healthy. Around 80 percent of the bacteria in saliva are common to everyone and 20 percent are unique to you. The exchange of saliva in kissing stimulates your immune system to create antibodies to the foreign bacteria, a process called crossimmunotherapy which helps you fight infection. Avoid kissing anyone on the lips when you, or the other person, have an active cold sore, warts or ulcers around the lips or in the mouth. See your doctor about immunizations. Vaccines are available to prevent some infectious diseases, such as chickenpox, hepatitis B and group C meningococcal infection. Is a complete dental exam required before kissing someone? Don't let the potential dangers stop you from kissing! Just be sure to practice good oral hygiene before you begin. Your loved one will thank you for it! Dr. Thomas Peltzer is a sedation dental specialist serving patients throughout Connecticut, Massachusetts, Rhode Island and New York. He is a member of the American Society of Dentist Anesthesiologists and the American Dental Society of Anesthesiology. 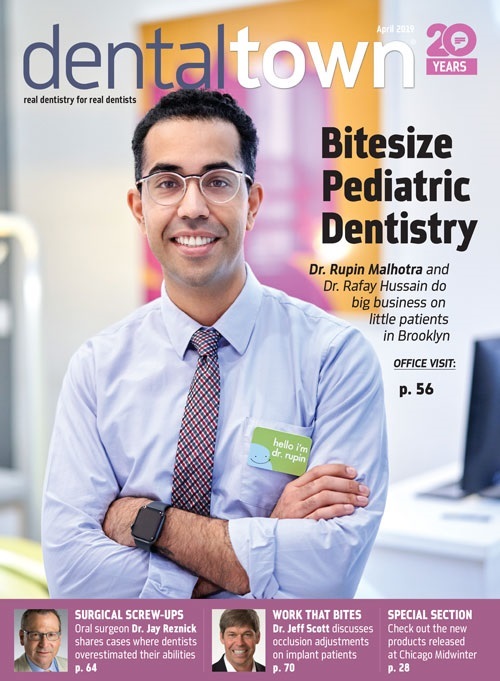 Visit his website at www.connecticutsedationdentist.com. He can be reached at gentledentalcare@snet.net.